Copy a task quickly with it's content included. Duplicate repetitive work that happens on multiple task lists easily. 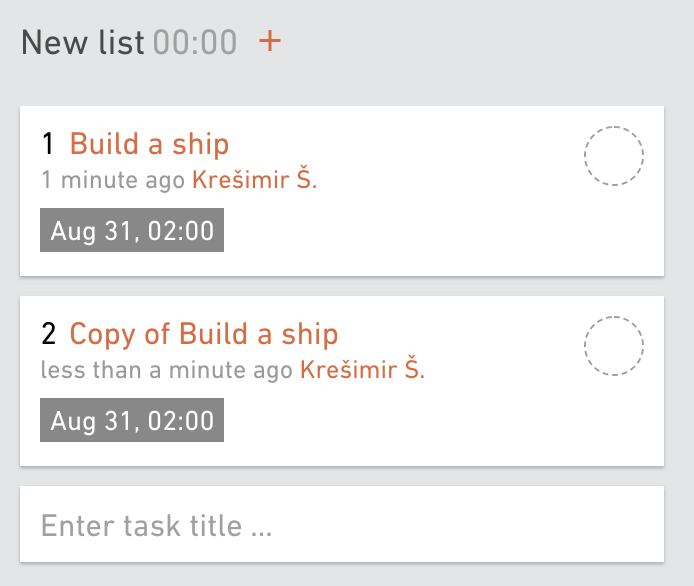 You can duplicate tasks in Productive. For example, you could be working on push notifications for an Android app, and push notifications for an iOs app on the same mobile development project. It's basically going to be the same task, with a different assignee based on technology used to develop it (there are other cases where this could happen too). 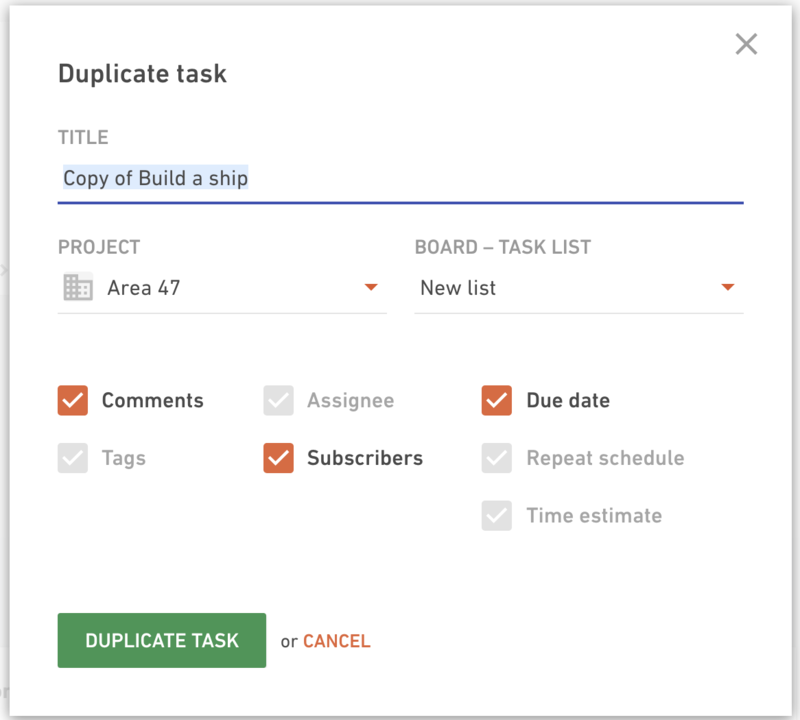 Why create two tasks manually, when you can just create one, duplicate it, and do some minor changes? You can do this easily from the task itself. 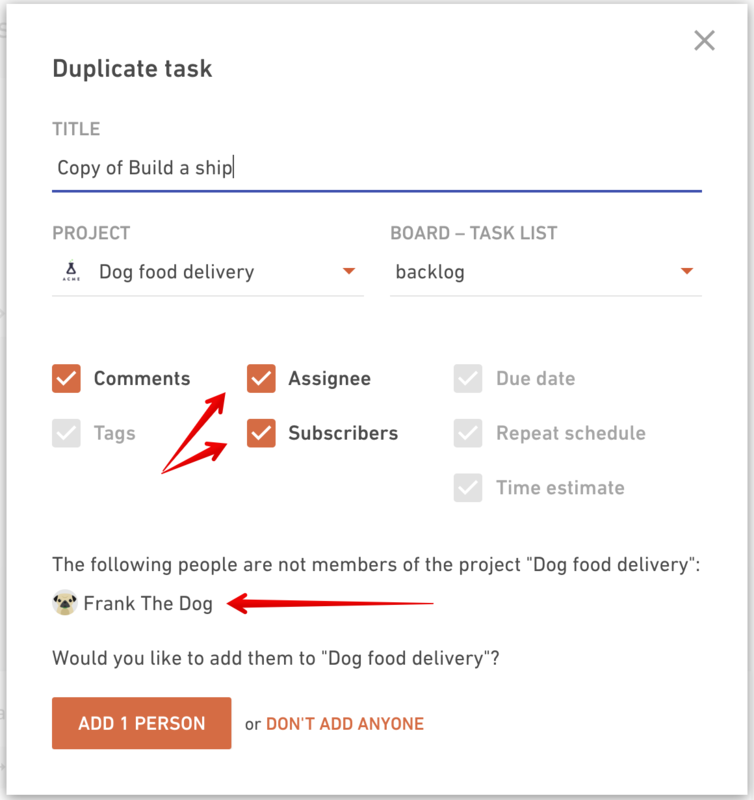 If you want to duplicate a task to a different project and list, and then include both assignees and subscribers on this specific task, it could could happen that the same people are not members on the project where this task will be moved to. In that case, Productive will ask you to add the people in question to the other project too.